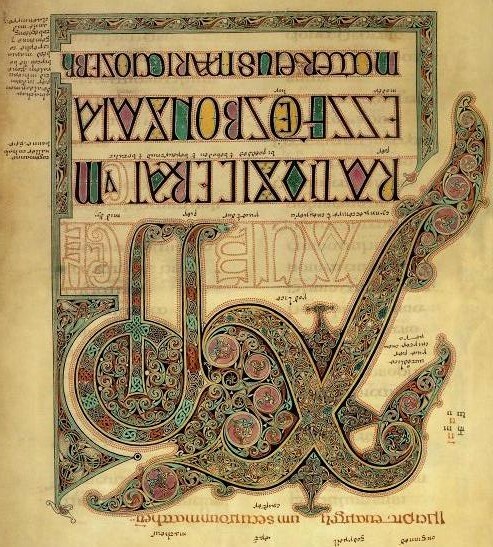 The story about the two XPI pages from the Book of Kells and the Lindisfarne Gospels, has become somewhat more complicated, but much more enlightening, since it explains why these two pages used the same theme. At these two places. 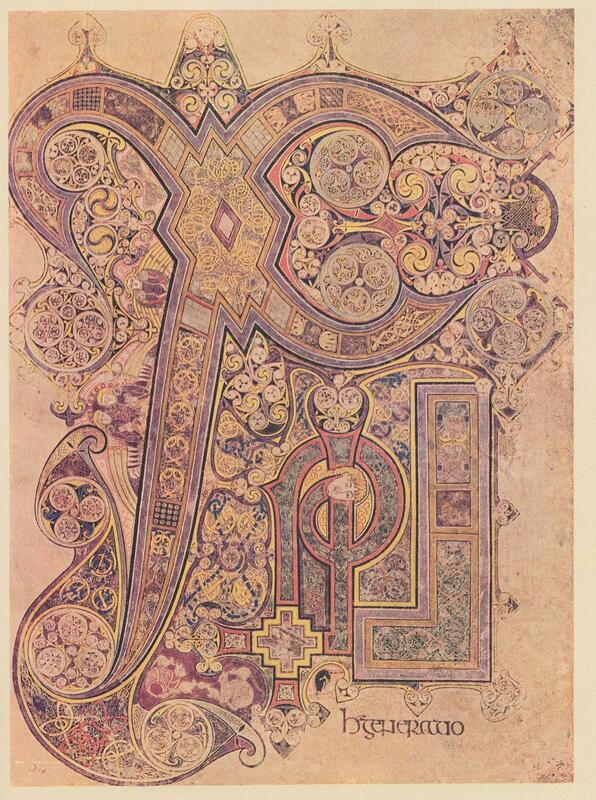 The Book of Kells was made on the Island of Iona, which is on the west side of northern Scotland. 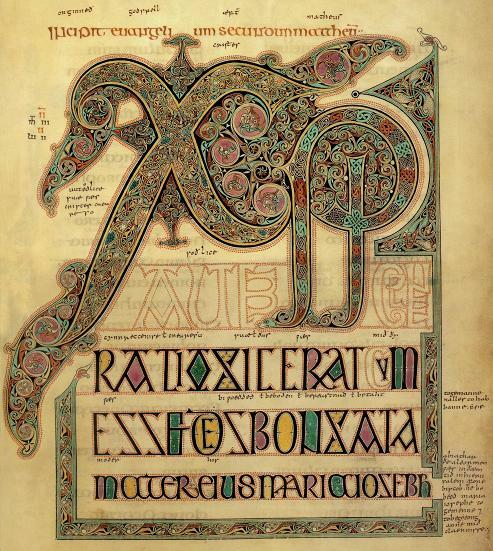 The Lindisfarne Gospels were made at Holy Island, off the north east coast of England. Iona was the mother house to Lindisfarne. The big X on both pages, which is a bird, the Swan, is laying an egg with his wing tip upon something with the head of an Ibis. There’s the head of a man, who seems to be wearing some sort of turban. They both have the straight staff and the one with the curl in it, which are the bird’s legs. 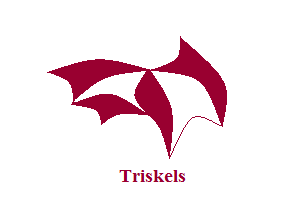 They both have many other things made up of triskels, which make up little pictures, and both have birds entwined. 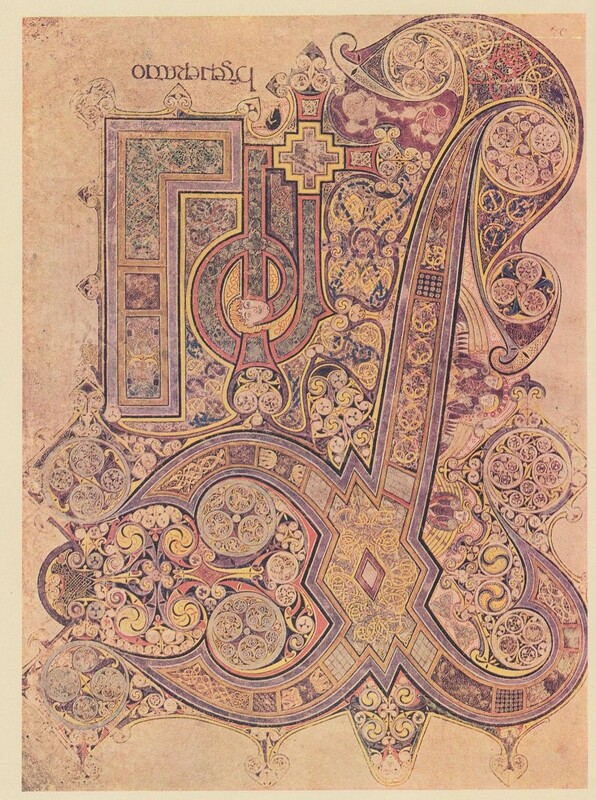 The Book of Kells also has serpents and ‘beard pullers’ entwined. These two pages belong to the story, ” Thoth, as the Ibis, laid an egg on the Mound of Creation, which is Hathor as the Milky Way. From the egg, Ra, the Sun god was born”. Even though both these pages say XPI for Christos, which is the Greek version of the name. The early Christian manuscripts were written in Greek, Latin didn’t come to the UK and Ireland for a few centuries after Christianity arrived. Both books do use Latin in the script, but in special cases, Greek still shows up, particularly in the Book of Kells. As in the word Christos, since the monk who created the page in the Book of Kells, actually spelled out the word on the page. He also used Ogham to give symbolic messaging, craftily hidden in plain sight. That is, if you can recognize it. Triskels are basically shapes with three corners, which according to the experts represent the Trinity, but they came into existence long before Christianity, so a different sort of Trinity at one time. Past, Present and Future, the three Planes of Existence. The picture below shows the sorts of shapes they could become, but the sky’s the limit when it comes to the different shapes, as long as they had three corners. Beard pullers are men with one lock of hair and their beards knotted up with each other or some other object. Sometimes when I want to write about a topic, I seem to hold back. It’s not prevarication, rather it feels like waiting. Waiting for what? Waiting, because I feel that there is something missing about that particular topic. Something which will be important, something which might explain the subject. I take notice of this feeling, because I have found other things when this has happened before. I generally search the web for artefacts and articles, or I read some of my books, not really knowing what I’m looking for, but knowing I’ll find what ever it is I’m supposed to find. Quite often, the find is a coincidence, like someone posting an address on another blog, which just happens to give me one of my answers. This did in fact happen this time, but along with that, I also found something else. The two together are quite interesting. The first thing I came across, were some papers written by Derek Cunningham, in which he theorizes that there was once a world map created, which was based on Cygnus. He actually started out trying to disprove the theories of Andrew Collins in the Cygnus Mystery. Andrew Collins and Rodney Hales showed how the layout for the Great pyramid and its companions match the formation of Cygnus better than Orion, which is logical, since Thoth was supposed to have been the architect of the Great pyramid. Thoth being Cygnus, usually shown as the Ibis. Instead, Derek Cunningham found that this theory is correct, and that it connects to a whole world map based on Cygnus, the Swan or Northern Cross, which seems to have been used by ancient mariners. Just can’t get away from those astronomer/navigators. His theories, maps, and pictures do suggest that he is correct about the world map. His map of Cygnus on the landscape of Scotland was based on geoglyphs that he found. They include large Xs, parallel lines, a triangle with lines leading in all directions coming off it, and some strangely shaped lakes. He also took into account the ancient Christian places of Iona, Dunkeld and Holy Island because they were supposed to have been built on land which was sacred long before Christianity came along. Close to Dunkeld there is a nest of lines, parallel, triangular, etc. The map below is part of the result. This is a mirror image of what appeared in the sky when this mapping system began, which Derek Cunningham dates to between 10,000-12,000 BCE. So right after the Big Ice had mostly melted away. As can be seen, these lines run to other important places in the world, and one from Calbost runs all the way to Giza in Egypt and beyond. It could take you to Australia, particularly if there was a canal in ancient times where the Suez canal is now. I have read about such a canal more than once in my lifetime. The line running to Jerusalem is likely Mount Carmel which figures in the St. Michael-Apollo Line. However, Scotland didn’t look quite like this at the time, since this is before the Storrega Slide, and the incredibly bad tsunami it created, wiping out a great deal of Doggerland, and parts of Scotland. The Hebrides and the Orkneys were then part of a solid piece of land as shown below. These Islands must have been high points of land for them to have survived the flooding. This is likely why so many islands, all the way back to Cyprus, were considered holy islands. They survived all the flooding which took place after the Ice Age ended. This is probably why so many ancient constructions were placed on high ground, they might survive if there was ever anymore flooding. This likely accounts for megalithic building, even though most of it happened much later. The three red dots on Derek’s map, are ones I added. These are three wing stars which are part of Cygnus, which he didn’t take into account, but I did, knowing what is up there. Many Christian, Roman and Norman sites were built over much older sites, which were part of the original geodesy. It is possible that the very early Church had people who still understood this. At least it would seem so with the two XPI pages. These three dots are very important to this story. I first put in the dots, and then went to look at a close up map of the locations. One is on Mainland Orkney, where there are two major roads which cross in a big X formation. One dot falls on water, possibly land when this was created. The third dot is on Papa Westray, where an ancient tomb named the Holm of Papa Westray, and the Knap of Howar can be found. Up until a few years ago, the Knap of Howar was the oldest farm in Europe, it dates c3700 BCE. Since then, another farm has been discovered on the east side of Scotland, which has been dated c4000 BCE. The people there kept cattle, sheep and pigs, and grew several types of grain crops. The island of Wyre has also produced a settlement which so far dates c3300 BCE. Jura had people settled there in the Mesolithic. Scotland is becoming a regular hotbed of ancient constructions, and archaeologists are now realizing that the Orkneys do seem to have been the centre of some very important goings on. There’s the Barnhouse settlement close to the Stones of Stennes, and possibly two close to the Ring of Brodgar. One settlement has been found north of Brodgar by magnetometry scans, a whole new settlement which was unknown up until now. It is the view of the archaeologists that the whole peninsula of Brodgar could well hold a great deal more. A circular enclosure has been spotted from the air close to Maeshowe, although it isn’t known at present what this might be. What has been uncovered so far at Brodgar, suggests that there were alignments to the Equinoxes and the Solstices, so all Solar. These buildings at Ness Brodgar are quite substantial, particularly Structure Ten. It measures 25 metres (82 feet) long and 20 metres (65 feet) wide in outside dimensions. The walls are five metres thick. It has a paved walkway all around, which may also have been covered by the roof. Inside have been found a central hearth and four ‘dressers’, although these are now being viewed as ‘altars’. These were free-standing rather than placed against the wall as at Skara Brae. Far enough away from the wall so that you could walk around it. They were made of yellow and red sandstone, their origin is not known at the moment, but this sandstone was brought from elsewhere. Structure Ten at Brodgar has now been jokingly called the ‘Cathedral’. Structure Eight at the Barnhouse settlement, close to the Stones of Stennes, shows evidence of having had a slate roof, many slates were found inside, all nicely even in thickness and cut squarely. Some have also been found in structure Ten. Neither hearth in Ten or Eight seems to have been used for cooking, all cooking at Eight seems to have taken place in an adjacent paved area outside. 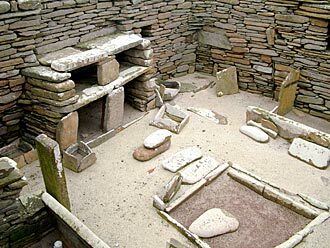 At Skara Brae, all the cooking seems to have been done in a building separate from the rest. Very monastic-like. The outside stonework of Structure Ten was very well made and quite beautiful, but the inside stonework was rather “scrappy”, says Nick Card, archaeologist at the site, as if the building was meant to impress from the outside, but few people may have actually used the inside. The building is aligned east/west, with an entrance in the east, an Equinox alignment. 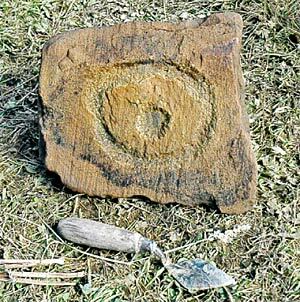 Near the altar/dresser, which faces the east entrance, was found a stone now known as the Brodgar Eye. It is thought to have been part of this altar/dresser, and that the Equinox Sunrise would have shone right on it. Nick Card wondered if this was a Sun symbol. Yes indeed, it is a very ancient Sun symbol, and in Egypt it was a symbol for light. The monk who created the XPI page from Lindisfarne, used it on that page. The Druid’s beard is flowing toward it. My own thought about this building, is that this was the headquarters and workplace of the astronomer/navigators. The altar/dressers were desks, a work surface to create maps on, likely made on hides. The tops themselves may have star maps on them, since they have pecking and cup marks and ‘decoration’ on them. The shelves below were for these rolled up hide maps, their ink cakes and pens made of reeds or quills. Swan’s quills? The Equinox Sunrise alignment makes perfect sense, the best long distance sailing time occurs between the Spring and Fall Equinox, particularly in a time with no motors, radio, radar, GPS, and all the other modern gear we have today. Even with all that, the Atlantic is no picnic in December. It is starting to look as if all the Orkney Islands were inhabited in the Neolithic and Bronze Age, and that they were inhabited for at least a thousand years. But the excavations are nowhere near finished, and the archaeologists think that there could still be whole layers of other constructions further down at Brodgar, which could show that it was inhabited for a much longer time. At the Links of Notland, on Westray, another settlement is being excavated. 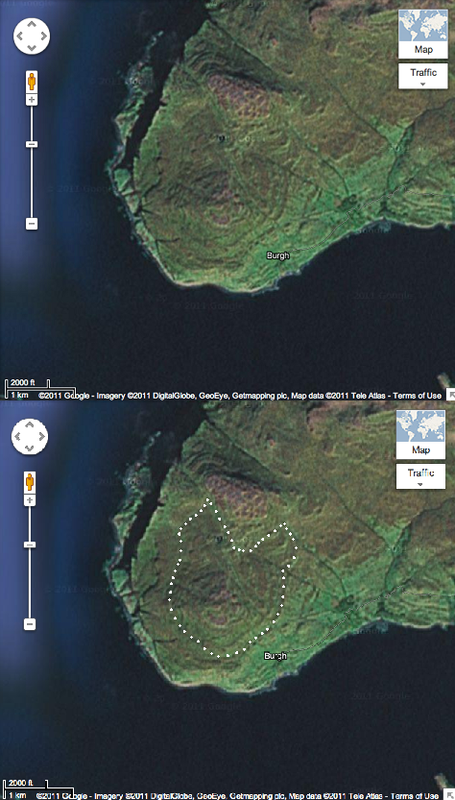 This is where the Orkney Venus was found. It has the same eyebrow/eye motif which was found at the Holm of Papa Westray, a chambered cairn. These carvings are reminiscent of the Folkton Drums which also have the eyebrow/eye motif on them. The motif on the Folkton Drums is part of the Akhet, the Sun between two mountains. The Winter Solstice Sunset, as seen from Maeshowe and other places belonging to the Brodgar Complex, happens between two mountains, where it sets into the Island of Hoy. There are special sightings of Venus about those same mountains. The eyebrows on the Folkton Drums is a large winged bird, Cygnus. Another carving has been found on Westray, part of the wall of what is considered an important building, also with fine stonework and larger than the rest so far excavated. Here we have the Akhet again, and that story, “Thoth, as the Ibis, laid an egg on the Mound of Creation, which was Hathor as the Milky Way. From the egg, Ra, the Sun god was born”. That big winged bird was of prime importance to the world map, which Derek Cunningham discovered. He drew lines running from the various sites in Scotland on a world map in the following picture. Notice how there are three lines running from Scotland through the area of the Suez Canal? They could take you right to Australia, if there had been a canal there in ancient times. 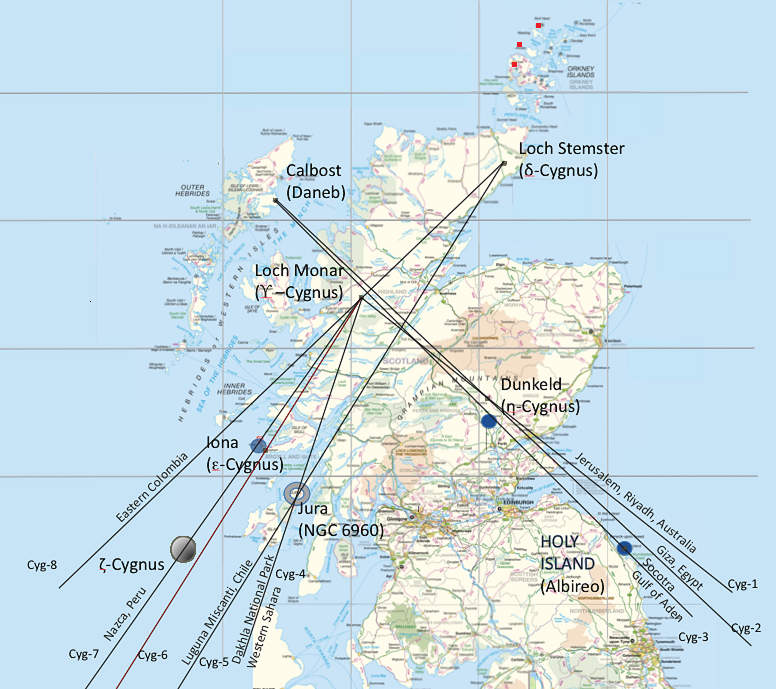 Certainly looks as if Scotland was the place for ancient astronomer/navigators. And what do the two XPI pages have to do with this? Turn the pages upside down, and now consider the Cygnus over Scotland map, and the Mound of Creation with its Ibis head, now becomes the Orkney Islands. Holy Island is Albireo, the head of the Cygnus Constellation. The Druid’s head on the Lindisfarne page has his beard flowing toward the south west, the direction of Sunset of the Winter Solstice. The head on the Kells page is facing west, the direction of Sunset on the Equinoxes. Seems those monks who made these pages, must have been aware of this lovely piece of geodesy, and they left us a record of those times, which occurred thousands of years before they were born. St. Columba, of Druid heritage, was at Iona, and seems to have built a very early church at Dunkeld. The later medieval Cathedral there was dedicated to St. Columba. With his background, he may have known about this geodesy. Iona was a Druid mystics’ retreat long before Christianity. Were the people at Brodgar Druids? At the moment it isn’t known, but it is believed that there was an elite priesthood there. One which was certainly concerned with astronomy. Much artwork has been found there, although I have only seen the Brodgar Eye. One building had a stone with eight rows of lozenges, another had a cist in the floor covered by a triangular stone. It was situated in such a way, that you would have to walk over it. There are also other markings there, which by the description could be Ogham. Perhaps I can get some pictures, that is if I can get any answers from the archaeologists. 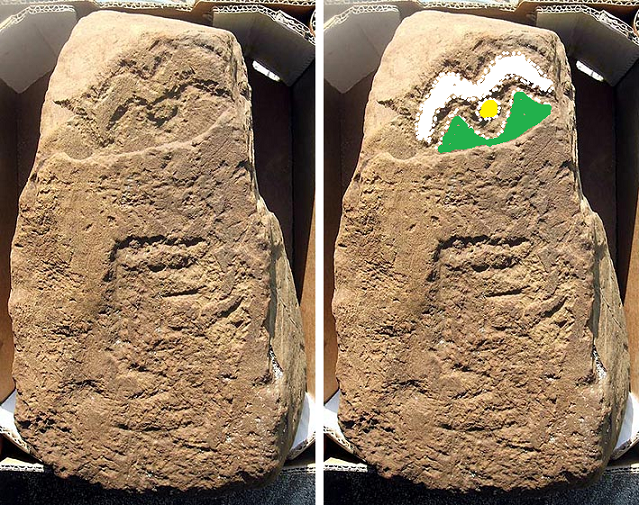 One can only hope at the moment, but the Brodgar Eye and the Akhet, do point to Egyptian connections, even the monks made the head of the Mound of Creation, the head of an Ibis. As far as I know, there is only one connection to an Ibis, and that’s Thoth in Egypt. Derek Cunningham made many interesting discoveries, but one in particular caught my eye. A spiral hill on Iona, I outlined what I could see there. Hmmm………The Horned Man? Or does this actually mean something else? Among the contents of a Hittite sign list, I found a symbol for, propheta. This word is in Luwian, a language connected to Wilusa, which is where the city of Troy was. Propheta is self-explanatory, prophet, in other words. But a prophet in ancient times, probably started out as an astronomer/astrologer. They made prophesies using the Sun, Moon, planets, constellations and other stars. What he has on his head is a sort of turban with long tails, which explains the head-gear being worn by the men on the two XPI pages, and likely this head on the landscape of Iona. As I said, Iona was a Druid mystics’ retreat long ago. Mystics are often prophets. If this head is as old as many of the other geoglyphs, then the people at Brodgar likely were Druids. They were at Silbury Hill c2500 BCE. XPI pages from the Book of Kells, the Lindisfarne Gospels and the Doggerland map, Wikipedia. Folkton Drums, Ancient Celtic New Zealand. This entry was posted in Ancient History, archaeology, Bronze Age artefacts and tagged ancient mariners, Book of Kells, Brodgar Complex, Cygnus, Lindisfarne Gospels, the Orkneys. 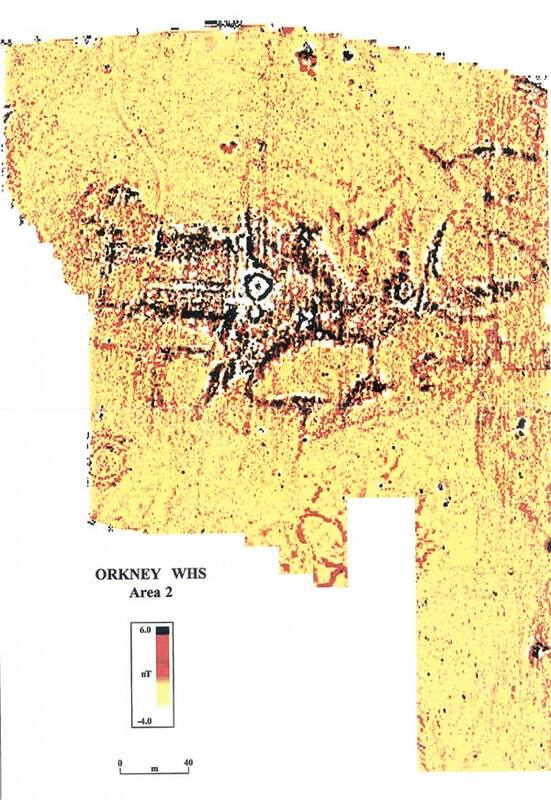 I reckon a lot of new insights into the past are waiting to be discovered in Orkney. Those isles are a hidden library of wisdom that connects Britain to the time of Doggerland. Thanks for that link to Orkneyjar. As you can see, I found interesting things up there, just wish I could see the other artefacts. Maybe I should move there, after all, how different can it be from my Island, except they haven’t got all this forest. 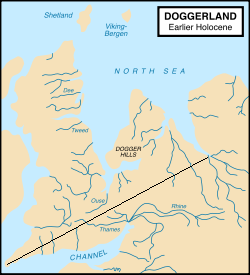 I think it’s time we started to take Doggerland a bit more seriously, instead of forgetting about it altogether. You’re welcome. If I happen to fall over anything else along this line, I’ll let you know. Think all mythology was based on astronomy. Thoth is only one example of Cygnus, and he was connected to astronomy, mathematics, weights and measures, etc. All higher mathematics, weights and measures are based on astronomy and the circumference of the Earth. Cygnus played a big part in ancient times. The picture with the scratch marks on it look very similar to pendants uncovered in irkutsk russia. Do you have a clearer picture of the lines? I have just published a book that decodes this type of pattern, and discovered all drawing tested so far follow the same astronomical rules. One pattern in Russia is known to be circa 15,000 years old. I think this pattern might follow the same structure as the Preminghana and anasazi petroglyphs. Do you have a sketch of the complete pattern? Hello Derek Cunningham. The picture with the scratch marks on it. 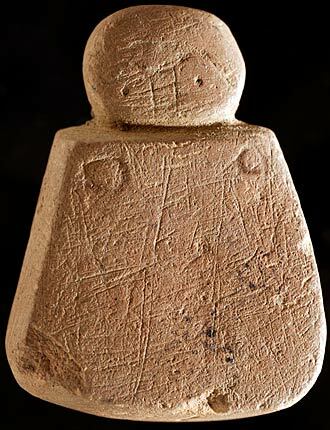 Do you mean the Orkney Venus? This is the little figure of a person. Is that the one you mean? If so, go to the web site Ancient Celtic New Zealand and look under Articles for The Orkney Venus. 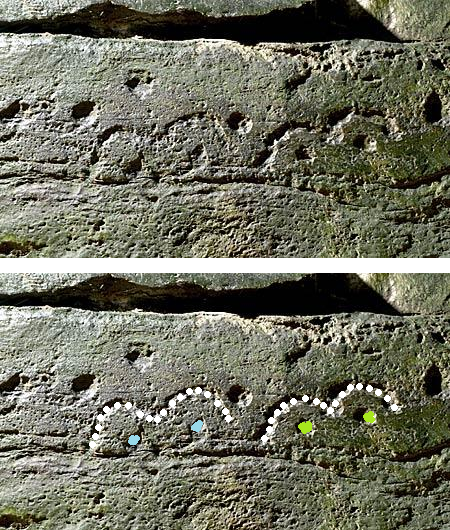 Martin Doutre has a really good picture of the scratch marks, in fact he has decoded them. It’s both a mystery book and a serious scientific study that proves a worldwide civilization existed in the Stone Age. It follows a drawing that has been replicated at numerous archaeological sites for 70,000 years. The mystery is the astronomical data contained in the drawing is found in Leonardo’s painting of The Last Supper. The book solves the mystery and also starts to bring to life the Stone Age civilization. I think it answers a lot of your questions. The book adds much more detail than I was able to put in the journal. Thanks. I’m using Word Press.